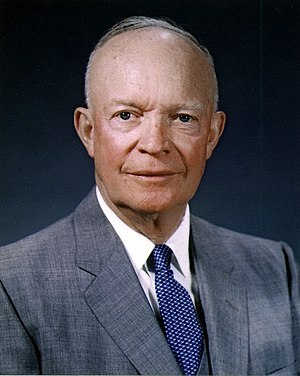 In his farewell address, President Dwight Eisenhower warned the nation that a military-industrial complex, led by interests within the government, the military, and those industries supplying the military, could stray from the original intent of national defense towards personal interest. We were invoked to get it right by constantly scrutinizing decisions coming from those defending us, and to do this beyond the fears that may be engendered. This was about scrutiny, not abandonment. Today his words may easily be dittoed for the FDA, us, and those biochemical-industrial complexes: food and pharmaceuticals. Mathematics is the basic language of science. Physics abounds with theories wherein one or more physical factors influence a physical event; likewise chemistry, with theories wherein physical and/or chemical factors impact upon a chemical outcome. It is physics that is central to surgery, dentistry, bone replacement and repair; and which bounds about with chemistry and biology upon the intricacies of the human body and its diagnostic tools to bring a greater understanding of biology and reliability of cures. In contrast, biochemistry, whose compounds contain carbon atoms that bond into variations more numerous than life itself, begs to be relieved of the multiple independent-factor paradigms of physics, and to some degree, chemistry; but into what? And without that what, from whence comes all this confidence in synthetic and extracted biochemicals whose novelties also expose patients to novel side-effects? Is it buoyed up by a science whose reputation piggy-backs on the innovations of the aforementioned surgery, dentistry, bone replacement and repair: that is, on a different modality? Consider these organic (hydrocarbon containing in this context) compounds that may support an organism’s physiology. When they are matched in the corpus of some living (not genetically rewritten) organism, where they had been generated for use by that organism in its survival as an individual, a species, or a symbiotic partner; I refer to them as natural. Upon consumption by a human being, the ions spun out by one of these would in some sense remain natural, although no longer edible. There are many biochemical compounds which, along with elemental ions, safely pervade living organisms, but at some higher concentration will no longer be so safe, such as: chromium picolinate, gamma-Tocotrienol, H+, O–, K+, Na+, Li+ , I-,Cl-, etc. Public safety requires that we reckon well, at how high a dosage, these do remain natural. Surely a natural dosage would apply to ingested levels of natural compounds and their ions, but that need not be the limit. The alternative term, unnatural, would apply by a standard negation, and there surely are upper boundaries to consumption which also mark what is tantamount to one’s biting into the unnatural. P-synergy and n-synergy may occur with any concurrence, but the former is far more likely with natural compounds, while the latter (disregarding excess) is more likely with unnatural compounds. This n-synergy would also be more likely where unnatural compounds interact with natural systems (or compounds): in particular with a functioning part of human physiology. Tests looking for results that depend upon (p or n) synergistic processes are extremely complex and expensive as compared to those seeking results from multi-linear studies. After all, beneficial or harmful results from one compound may not occur outside a particular range of concentrations of a second compound. With Michael Douglas’ revelation that he had oral cancer, it was mentioned (and has long been known) that alcohol and smoking combine n-synergistally to develop oral cancer. Those unnatural organic compounds (alcohol by virtue of fermentation, and smoke, by its almost complete oxidation) were not investigated together haphazardly, but were understandably considered and through inference understood. By their sheer numbers, organic compounds cannot be methodically tested for a (p or n) synergistic effect without such a connection first being suggested by the facts. Thus unnatural organic compounds bring their creators the wealth of temporal control of a product, but little incentive to take on the difficult testing for (by my claim) very possible n-synergistic effects. How many harmful interactions surface after a drug becomes a medication? How many medications ever revert to being a drug? Their creators are spared both the need for such costly testing and any responsibility for knowing, commensurate with it; but still they posture confusion as to why those with relatively shallow pockets (providers of natural organic compounds as supplements and foods organic in that term’s meaning as it applies to food) do not present evidence that could only, until now, come from a series of difficult tests for (by my claim) very possible synergistic effects. Filling this void are linear studies. What these say about unnatural compounds (pharmaceuticals) are often true, but unfortunately what these neither say nor can say about unnatural and natural compounds are also often true. With the stakes so high, I do not fault those grasping for near perfect assurances, but we do not get to choose life’s biological standard for such nearness. In fact, half jokingly, Charles Darwin pointed out that it gets to choose us. Do malpractice suits rekindle or do they preempt a physician’s commitment to the Hippocratic oath? Are those suits tilting the anxious care giver towards treatments whose failure would leave the fewest clues? Does trust in the body of medical understanding teeter on the acceptance of a single, possible revision? The stakes, down stream from medical practice, can drive some to obscure medical understandings, and others to obsess towards magnificence. A Catch-22: Suppose someone taking a prescribed medication has a physician who may well recognize both the illness and a solution. It makes little sense to simply drop that medication outright while not first ascertaining the illness and looking elsewhere, towards an eventual switch. Those dealing with naturally extracted, medicinal compounds abound, as do well researched newsletters on shades of the subject. Not a casual choice, not one on which I would advise in specific terms, but one which I have taken on my own. When natural compounds and their combinations fail to satisfy the standards of linearly constrained testing, they may be failing to interact p-synergistically with counterparts, statistically absent from today’s common diets and life styles. Alternatively, those consuming and claiming benefit from natural compounds would, again in a statistical sense, have read and been better prepped to avoid both side-effects and voids brought about as a result of modern food, agricultural and transportation technologies. That is their bodies would be relatively richer in various p-synergistic counterparts to the test compound. This suggests that some alternative and biotech medications be paired in tests whose (willing) subjects are exclusively those who have backed off from the various technologies which are, by happenstance, disruptive in their attempts to better feed us. Processing technology: Here I refer to that in the environment which instinct recognizes as a marker and that around whose importance the instinct developed as a benefit. Our instinctive sense of taste is definitely tuned into the life-giving nourishment of food, but of food as it existed during that instinct’s formation. When the marker and nourishing benefit are one in the same, the value of that instinctive taste transcends time; but as long as the marker with its enticing molecular angles is consumed juxtaposed to the nutritional part, it has done us well. Our taste for food and our well-being were allies until not that long ago, when some providers mistook the marker for the essence, stripping and throwing away the nourishing latter. The supplement industry really attempts the opposite: stripping away parts of food that would be overabundant if what remained were to meet the “desired” concentration. There are two risks: the tossing out of p-synergistically supportive, surrounding molecules (i.e. flavonoids), and the increase of concentrations into self n-synergy. Agricultural technology: Confronted with a constant need to increase yield, technology has provided fertilizers, growth hormones, herbicides, and insecticides. The human senses are designed to notice quick changes, not the slow effects brought about by ingesting remnants of agriculture’s little helpers. Thus the food industry and public celebrate what is apparent, a positive impact upon the yield of unnatural compounds which lodge themselves in the product. 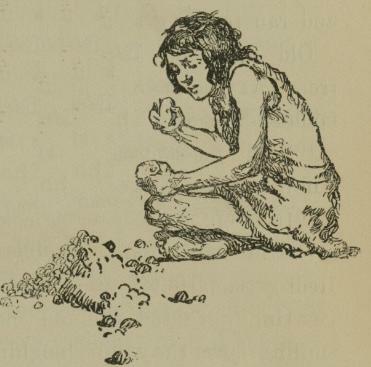 Of course, for a billion years before agricultural technology began; life, based on human and pre-human genomes, ate organic vegetables, seafood (free of Hg), along with (organically) grass-fed, free-ranging poultry and meat. Transportation technology: Ships, trucks and trains took humanity out from the shadow of starvation into the light of what has often been too much of a good thing, or not so good a thing. The mass marketing of food has tagged along behind this technology, and has led food technology (now including the preservation by unnatural compounds) way out of its depth. Vehicles and other kinetic supports have also made vital exercises, like walking, less of a necessity, and hence, less automatic. By this, whom have we become? Holding the bribing of a doctor to promote a particular medicine as more despicable than the bribing of a grocer to carry a particular food may well be our exaggeration of the importance of the quicker ill-effects of some pharmaceuticals over the slower, subtler ill-effects of some food products. These bribes, along with those paid out of pocket to researchers taint the profits, derived from them. Medical accomplishments in diagnosis are almost always to be celebrated, but even they can be manipulated to poor effect. Cancer is such a difficult malady that it was long ago and correctly decided to consider a five-year survival as indicative of success. When a better detection technique allowed doctors to go to work on tumors at an earlier stage, many more chemotherapy patients made it pass the five-year mark of success. That was to be expected, but suppose that early detection had improved enough to allow for a two-year head-start. Had doctors twiddled their thumbs for those two years, and then begun therapy, their patients would have survived, on average, those same added two years. As an artifact of this measure of success, chemo manufacturers had a second, all be it meaningless, reason to expect better survival rates. How improved in time has chemotherapy really been, factoring out this spurious interpretation? Military weapons are conspicuous in their wounds; the effects of harmful biochemicals often disappear in an onset, protracted in time. We instinctively fear the weapon raised in the hand of an enemy but are disarmed by a supportive offering of food or medication. That is why the Food and Drug Administration struggles for each crumb; while the Pentagon, for each million loaves. The FDA needs to deal with less obvious dangers as well as less obvious bounties; but it is bound to deal with them in the context of earlier FDA decisions (whether denial, approval or tacit acceptance), and it does so with a Supreme-Court like attachment. On the other hand, it need not cling to the scientific judgments upon which those earlier FDA decisions were based. That seems problematic; but, I suppose, in choosing one’s battles, it is necessary to decide the positioning of one’s crumbs. When the FDA looks at a standard or alternative medical approach to the same illness, it considers claims of effectiveness and of public safety. An alternative approach would come under scrutiny if it were potentially dangerous, whether in its effect or by virtue of its distraction from a standard practice whose acceptance had been deemed extremely important. This is proper in a world where the bonding of thousands of FDA/drug-vender acquaintances are not allowed to bubble up into the decision-making process; where revelations of results for drug-vendor studies are not at vendor discretion; and where exclusions and acceptances are always and with an open heart under review: that is to say, on the far side of the moon. Their standards for accuracy require expensive “scientific” testing which promoters of alternative treatments can ill afford. They cannot because they lack access to the profits of temporally controlled products in a market offering FDA approved hope. They cannot because we have bought into the notion that a scientific method, emergent from centuries of mathematics, physics, biology and more recently chemistry’s support of a better understood biology, is itself adequate to our grasping of the complexities introduced when carbon bonds are altered prior to being ingested. Would those guiding the pharmaceutical and food industries (and some FDA staff) subject their own families along with themselves to an occasionally blemished product without self-deceit? Money may have gotten that profession into delivering security-blanket-medicine, but that which holds them so tightly is not parting with money. but rather a dread of what may lay beyond that dropped blanket. One way or another, this demand for an unattainable exactitude does begin to sound more like a delaying tactic to be followed up with a far from surefooted aprés moi le deluge (after me the deluge). Ike recognized how the way Pentagon staff related to corporate management could dangerously corrupt military effectiveness. In fulfilling his challenge then and accepting it now in this context, the distinction between deception and self-deception must be recognized and one’s approach split accordingly. Put otherwise, one must not let the tail (those entering these industrial groups for money at any human cost) wag the dog (those entering to feed, comfort or cure people and who, having discovered and enjoyed prestige and financial benefits, happen upon an insufferable glitch). To ignore this would be to ignore the spirit of original intent; but in such revelations, personal images are skewed, comforts lost. Because in the eons of time, animal husbandry is relatively new, so is milk beyond infancy. This and crop husbandry have brought dietary animal proteins and seeds (grains, legumes, etc.) way up beyond early levels. Yeast husbandry is as new, and with that, are alcoholic beverages and cheeses. Here, I consider the products of fermentation, alcohol and lactic acid, as unnatural; while the constituents of milk and grain, themselves natural organic compounds, as having acquired unnatural patterns of consumption. Clearly the world-wide interaction with these over the past 8,000 years is more than a mere lab experiment but, by emergent data, lingering problems accompany now high levels of consumption: liver damage (alcohol), iron access (red meat), glutamate toxicity (cheese and red meat), inflammation from high levels of omega-6 fatty acids (seed, grain and legume oils). Glutamate and omega-6 inflammation are implicated in mankind’s major health problems: cancers, as well as cardiovascular and neuro-degenerative diseases. Actually animal consumption of environmental ethanol (alcohol) goes even further back because fallen fruit, fermenting from ambient yeast, goes back as far as fruit itself; but those organic compounds derived from fermentation, and hence, from natural processes, do not make the cut here by their being purposeless parts of those particular processes. The product of grape skin fermentation, resveratrol, is natural by virtue of its presence in unfermented Japanese Knotweed; but fermented grape fructose, alcohol—here unnatural—may still be beneficial when an adjustment is made for the impact of displaced fructose, and alcohol’s protection from harmful bacteria. Much the same may be true of fermentation’s impact on dairy which can be more challenging to the human body than fruits and grains. Likewise, cooking and pasteurization eliminate some important, natural, organic compounds; but they also counter threats that abound in the context of our time. We all eat raw foods; however, in venturing into those which are non-vegetarian, seek the advice of those you trust with your life. When it comes to eating or drinking, most defer to their senses of smell and taste; and so would I, but so much has disappeared from that quest called hunger: foods, once known by the very senses as they had, in fact, been known. Milk products, animal proteins, extracted carbohydrates, grain, seed and legume oils ought to be limited to compensate for their over availability; and a watchfulness for personal, less immediate indicators accompanying alcohol and cheese. Since before recorded time, human beings have known hunger. It is no great leap of faith to believe that the food they ate came up wanting in many nutrients: absolutely, seasonally and tragically. With aging one might expect many of the nutrients in food to be mishandled by the body, especially when that body grew to maturity in patterns of malnourishing food-technology and, of course, there are those patterns as they apply to anyone. For these reasons, I trust some degree of supplementation, but caution as to how much? Let the collection of nutrients that attend a nutritive molecule within its source be referred to as its inner matrix; the food itself as its outer matrix. It makes some sense for a beginner to supplement with a nutritional molecule’s inner matrix; and not its outer matrix (eating too much food) nor the molecule itself (losing a potentially supportive interaction). For instance, suppose that each of six factors is represented by a particular axis, and that the red dots to the right are at the optimal values along each factor-axis, determined independently from a body of data. 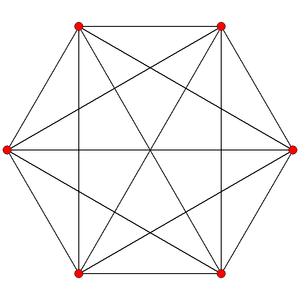 Then one could search similarly along each of the fifteen red-dot connecting lines for a point of optimal (p or n) synergy between a pair of factors, and presume, as a cost efficient matter of faith, that a final optimal combination point for that pair lies on a radial line out of the origin and through it. 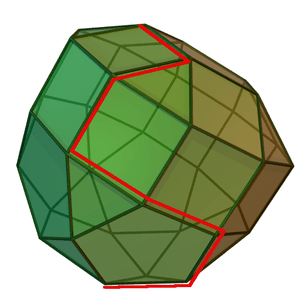 This algorithm could be repeated, now obtaining a fifteen-vertice simplex (then 105 . . . 5480 . . .). After five iterations, one could simply evoke, the simplex algorithm to uncover or document hidden (p or n) synergies. This approach would itself require far too many expensive data points; but, at each stage, one could use values interpolated from nearby data points, finishing up with an application of the simplectic algorithm. The results may only hint of (p or n) synergies, yet still point to where more revealing data may be found. This entry was posted in Cancer, Chemistry, Economics, Evolution, Globe, Health, Life science and tagged biotechnology, food, pharmaceuticals. Bookmark the permalink. Simply wish to say your article is as amazing. The clearness in your post is just cool and i can assume you are an expert on this subject. Well with your permission allow me to grab your feed to keep up to date with forthcoming post. Thanks a million and please continue the enjoyable work. Quote from bobble: “… but why is it that other cotenrius are able to negotiate low drug prices …”Because if pharm companies don’t give other cotenrius what they demand, then the other cotenrius will simply nationalize the drugs and have other companies make the generic version and the pharm companies will get absolutely nothing for their development work.Once government takes over all of the health care system in the US, then the same situation will happen here, and the pharmceutical industry will become like the Post Office, Amtrak, and the public schools. So should the U.S. imsope tariffs on countries that threaten to or succeed in circumventing intellectual property rights on prescription drugs? There are many posts on this blog that support free-trade. Is this a case where a tariff is warranted? Also, if tariffs don’t come into play why aren’t foreign companies getting in on the “gold rush” of selling drugs to the U.S. consumer at exorbitant prices. FDA enforced barriers to entry perhaps? bobble,The other countries that are able to ngioteate lower prices simply place a hard cap on what they’re willing to pay. Because the marginal cost of producing a dose of medicine is quite low, even this low price offered means a profit. Think of it like a blue-plate or early-bird special. They have the product and selling it at a discount as long as it’s over cost means showing a profit. David, I can uendrstand your argurments about the grains, some people certainly are sensitive to these, primarily those with gluten sensitivity, but what’s the comment about vegetable oils? You’d hjave us only eat animal fats? Shanda, here are the most common fats/oils which are low in omega-6: olive, flax-seed*, coconut, cocoa, palm, milk cream, animal fat. They are reasonably well ordered, best to better. * low omega-6 to omega-3 ratio. Situation 1:You have a terminal ilslnes.I have created and hold a pill which will cure your ilslnes. How much would you be willing to pay me for it?The correct answer is likely close to the total of all your liquidated assets plus everything you could possibly borrow, minus a reserve to maintain a minimally bearable quality of life.Situation 2:You have a terminal ilslnes. You are given the cure pill as a right. You take it and swallow it.Now I ask you how much you are willing to reimburse me for producing your lifesaving pill.Your answer is that you had a “right” to the pill and you are willing to pay almost NOTHING. Even the most appreciative and generous of survivors would pay FAR LESS than the pill was actually worth to them. They wouldn’t liquidate ANY valuable assets.Situation 1 is capitalist. It represents economic reality and provides the maximum incentive to INVENT the cure pill in the first place. It ensures that risk and resource costs are adequately compensated.Situation 2 is socialist and represents the warped leftist view of reality and provides no incentive to invent the cure pill. Risk taking is punished and therefore is never undertaken. Resources costs are not covered, so the producer runs an economic deficit. It cannot continue this in the long run.In Situation 2, the pill never exists and you DIE. If the pharmaceutical company makes the mistake of producing the pill for one disease, they will never make the mistake again for another disease.Socialism = Death, but the deaths attributable to socialism are largely uncountable. You suffer and die from the goods and services NOT provided.The “right” to affordable goods doesn’t benefit you when the shelves are empty. Great article! I loved the insight as well as the information given . In addition, your article writing style is very fun to read. If you have enough time please take a look at my new webpage and tell me what you think. Well other than it being good for the earth, you, and others arnoud you.Uh, your health? It is more expensive this way but it is cheaper than going to the Dr. all of the time. Because when you get older your body plays hell for eating a lifetime of Mickey D’s (Watch Super-size me). It is always a better choice. As far as websites type in search bar exactly what are you looking for and it will pop up. Everybody like their own place. I go to the local health food market in my town. Stores depending on where you live some are Nature’s Pantry, Beans and Things, and Trader Bills try some of those. Hi there, just was alert to your blog thru Google, and located that it’s really informative. I’m going to watch out for brussels. I’ll appreciate in the event you proceed this in future. A lot of other people shall be benefited from your writing. Cheers! I think the distribution oaerhevd costs come into play as well. I’ve never walked into a pharmacy that was overwhelmed by the customers. I’m sure it’s more cost effective having extra staff than taking the chance that someone rushes a prescription and makes a mistake. It a job where an innocent mistake can easily turn into jail time.And they have to have the same reimbursement oaerhevd as a doctors office. On top of the regulatory and drug changes they have to stay of top off.If you have a plan where they will mail a 90 day prescription, it’s usually much cheaper than a 1 month prescription at a pharmacy. That has to be due to the oaerhevd they’re cutting out.